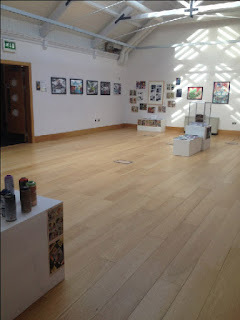 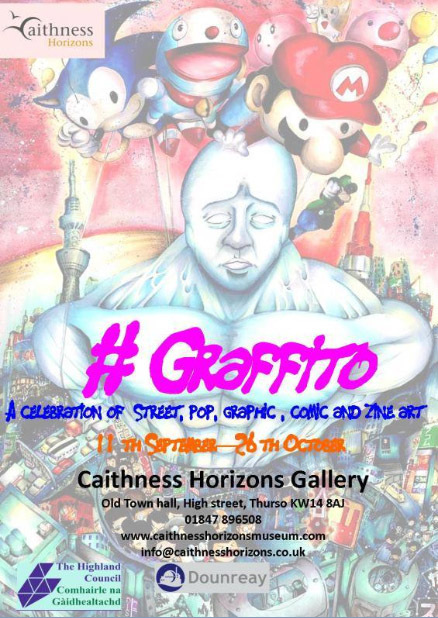 Caithness Horizons Gallery in Thurso is now running their Graffito exhibition. 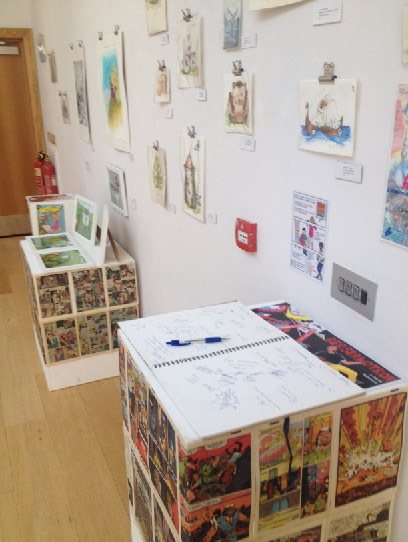 From the museum's website: "Graffito is a celebration of drawing and mark making with street, pop, graphic and comic art and zine making." 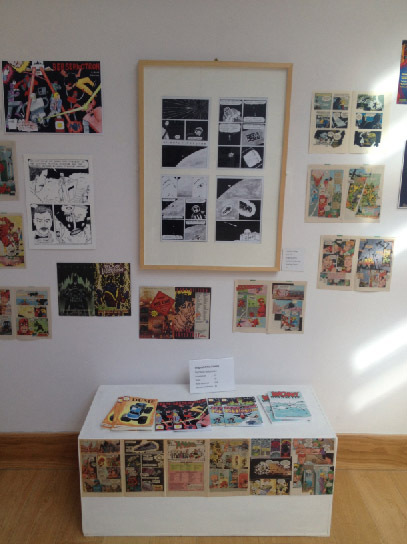 I have some comics on display there; Silently Falling, a page from George vs Herbert, and the wraparound cover for Berserkotron. 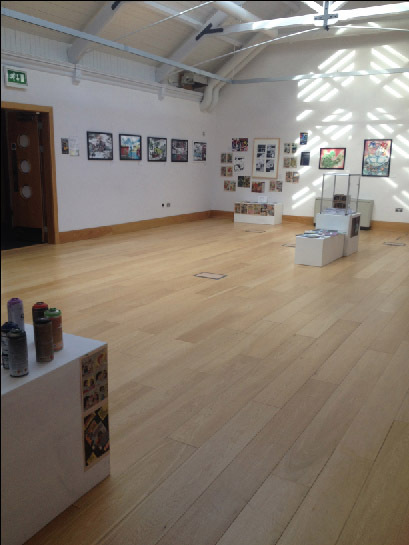 The exhibition also features work from Hannah Cambridge, Marc Delaye, Zu Dominiak, Victor Nobis and Andrew Strachan. 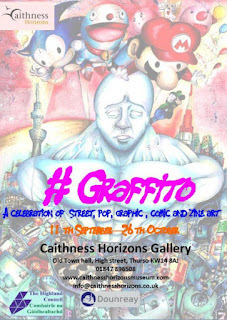 It runs from 11th September to 26th October.